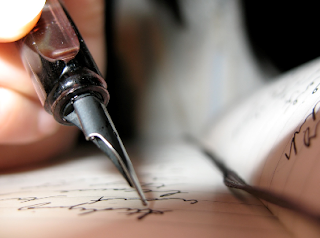 As writers, we’re accustomed to being the ones with the pen. We’re talkers. Storytellers. We’re thinking up the untold and weaving something new out of the words God has placed on our heart. And as a writer pursuing publication over the last two years, I became so focused on the goal of receiving that Yes from a publisher that I lost sight of what happens after the goal is reached. It was on a plane ride last week that I found out what “next” is – it’s to talk less and listen more. I sat next to a kind businessman on a connecting flight home from New York City. We chatted about our homes, our families and the work that had brought us to the current plane ride. It wasn’t until we shared our faith in Christ that I began to feel the tug on my heart to simply let him talk. He shared the story of his daughter, a sweet Christ-loving teenager who’d passed away several years before. And in that moment, it became clear that storytelling is more than filling pages in a book. On the journey to publication, we often focus on the speed of our typing fingers, the sharpness of our editing eye, and our electric wit for storytelling. But to listen more? It’s one of the most powerful, yet widely unsung attributes of an author’s persona. 1. Listen to others. What I knew about the industry two years ago was next to nothing. (Scary but true.) I’d been a professional writer in Corporate America for more than a decade but when it came to Christian fiction writing, I was a novice. So, I started researching in some of the places I found to be the most helpful – especially for a beginner like me. Listening to others that know the industry and the craft of writing is a foundational place to start. And in case you’re curious, I started with the following blogs: Michael Hyatt, Rachelle Gardner, Seekerville, Nathan Bransford and The Writers Alley. Research the basics: querying, the must-haves for fiction writing, how to write a winning proposal, how to pitch your work… absorb anything you can. Then, if you’re still up for chasing your dream, get into the serious side of listening and join an organization like the American Christian Fiction Writers (ACFW) and/or the Romance Writers of America (RWA). Listen, listen, listen to the professionals that have made it in the business. 2. Listen to yourself. Last year, I’d been writing Regency Era fiction and had some success in contest entries with one of my manuscripts. I still received rejections on the work though, so I knew I had some more learning to do. I made a plan to put pen to paper and write a book that had been speaking to my heart for some time. It was a departure for me to write a WWII Era book, but I had passion around it and couldn’t stop that inner voice from telling me to go for it – to write my passion! Two months later, I received my first offer and signed with Thomas Nelson Publishers (Harper Collins Christian Publishing) for that book series. onsolation, I’ve been in the shoes of the aspiring writer that is walking through rejection and had to pick myself up by the bootstraps more than once.) But regardless of the let-downs, I encourage you to exercise your “critique muscle”, to take the feedback you receive and use it to improve. Then, you’ll be able to distinguish the voice that sticks out and highlights a new passion – your own. 3. Listen to your readers. This is as amazing to me as anything I’ve learned about the industry – that you can have readers even before you’ve officially got books taking up space on the bookstore shelves. Writers and readers may be networking on Facebook, Twitter, Google+, LinkedIn, Instagram and Pinterest, but I venture to say that social media isn’t the only place to hear stories. The place where you’ll find the most emotion welling up in your soul is when readers send emails to connect with you, or when they show up in your line at a book signing and share their story. Before you know it, you’ll be on a plane from New York like I was, listening to one of the most beautiful stories a Dad could tell about his missionary-daughter that passed away several years ago. Listen to this writers, because it will make you a better author to be able to connect with others on an authentic level. Listen. Pray for your readers. And really, really exercise that ability to connect with hearts and hurts beyond yourself. 4. Listen to God. I’ll be the first one to tell you – total surrender isn’t easy. I’ve had enough ups and downs on the road to publication to shake my resolve more than once. But if you aspire to publication like I did, you’ll find that there’s one place you must train your ear to respond to… There’s no voice louder than when God whispers your name. Listen for those words meant for you. Trust Him. Follow His lead. And whether you’re experiencing a low (Another rejection?) or the highest high (I’ve been offered a contract! ), He will be there to share it. Check back for updates… I’m excited to share book news and have a new website to launch soon. Blessings to you! Ink), Jane Austen Society of North America (JASNA), JASNA Greater Louisville (GL) Region, and the American Society for Training and Development (ASTD). 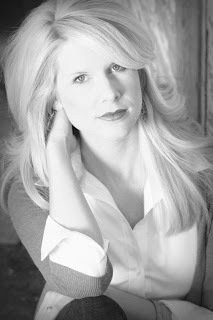 She is represented by Joyce Hart of Hartline Literary Agency, and writes Historical Romance titles with a vintage theme. She has been editor of her own Christian fiction blog since 2009 and as of May 2012, has been a permanent contributing editor on the Regency Reflections blog. She is a Finalist in the 2013 Laurie contest (Inspirational Category) and recently won first place in both the 2012 First Coast Romance Writers (FCRW) Unpublished Beacon Contest (Inspirational Category) and 2013 NWTRWA Great Expectations Contest (Inspirational Category). Her first novel, Book One in a WWII Era historical fiction series on the prisoner camp art of Auschwitz, will release from Thomas Nelson Publishers (Harper Collins Christian Publishing) in summer 2014. When she’s not writing, Kristy enjoys spending time with her husband (and best friend), Jeremy, and their three football-loving sons. She loves anything classic or vintage-inspired, especially Jane Austen, Parisian museums, Downton Abbey (and British culture in general), art history and Turner Classic Movies (TCM). The last and most important thing? Jesus Christ is awesome - let her tell you about Him sometime. Christy, what a beautiful post. We should always be listening, shouldn't we? And yet, it's so hard, because I have so much to "say!" Thanks for reminding the benefits of listening and the people to whom I need to listen. As hard as it is, I should always be focusing on God and what He wants to say to me, and tuned in to people God places across my path each day. LOVED your thoughts here today!! And I'm so excited to read your book! Kristy! I totally didn't know you were going to be here. So nice to see you, friend. :-) And so thrilled to be reading your WWII story soon!!! Congratulations again, and thanks for sharing that beautiful story about listening and your plane ride. Right now I'm listening to my toddler asking for lunch, so about time for me to go! Love your post! I've been in the Book of Habakkuk this week and love the start of chapter 2 where he says he will stand watch and wait to hear what the Lord will say to him. Yes, with so much "noise" aground us, it is good to STOP, wait, and listen! Isn't that so true?! In a world where seems to be so much being said, stopping to listen anymore is incredibly valuable. Hi Jeanne ~ How sweet you are to stop by! Yes, I was reminded that I could stand to listen a lot more than I do. The Lord is good at reminding, though. : ) And thanks for the enthusiasm about my book series. The release date is July 15, 2014, so I will be sure to share details as I have them. Many blessings! Ruth - My, how I love it too! What a wise reminder. : ) Sometime I find myself listening, but I didn't do the STOP part... That can be just as dangerous. I am trying to keep my ears open more to listen for those signals on when to slow down. Best wishes with your writing! Thanks Casey! I have been welcomed right in to the Thomas Nelson family and they are doing a fabulous job of mentoring me through the publishing process. I'm really excited! : ) Thanks to the fabulous ladies of The Writers Alley for hosting me. It's an honor to be here!! Hey my friend and fellow Monmy to a toddler! : ) Thanks for the support. I am excited to see my WWII Era series hit the shelves - finally, after all of the hard wok and many sleepless nights, we see the end of the tunnel! Hug that little one for me. Kristy, it's been a pleasure to meet you and watch your story unfold for the world to witness. What a great post and amazing advice, Christy! So excited for this next step of your publication journey!!! Jeff ~ The pleasure is shared. :) It was a God-filled week, wasn't it? Amy ~ I thank you for your kindness and can't wait to see you in September! Hugs! !